Craig Windmiller, founder of Windmiller Design Build, has been designing and building custom homes and commercial developments in the Quad Cities for more than 30 years. 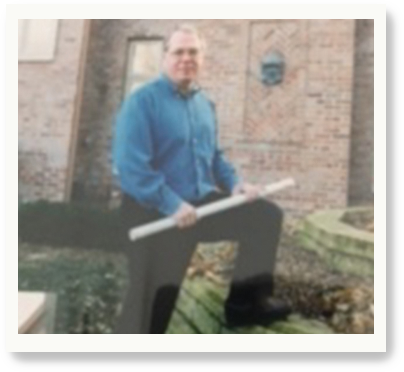 After earning his degree in contract design and architecture from Iowa State and Southern Illinois University, he moved to Bettendorf, Iowa, and began selling real estate. Craig purchased his first piece of property—16 acres with 34 lots—in 1984; three years later, he completed the project and was eager for more. 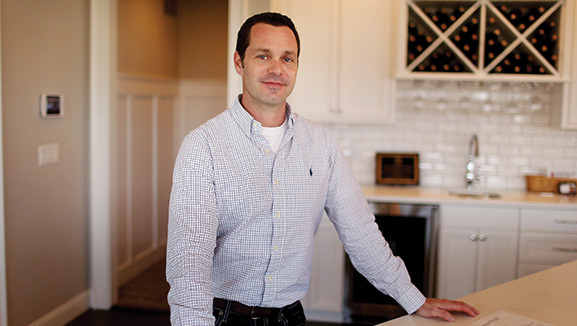 To date, he has developed 15 neighborhoods and 2 commercial developments, including some of Bettendorf’s most established and sought after residential and commercial properties. In 2010, Craig joined forces with his son Ryan of Aspen Homes to further expand the Windmiller Group portfolio of homes and price range. But the core tenants of his business have remained unchanged—superior quality, superior design and superior customer experience. 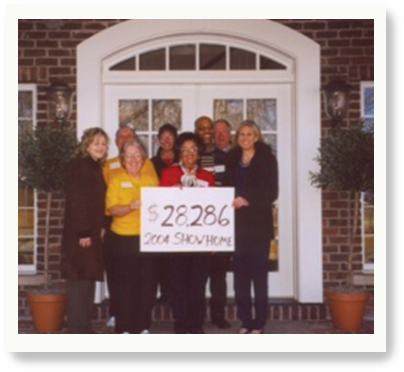 Windmiller Design’s impact on the Quad Cities extends beyond residential development to community betterment. Craig has been very involved with Habitat for Humanity through the years, hosting show houses for the public to raise money for the cause. As active members of the Quad Cities Builders and Remodelers Association, both Craig and Ryan are dedicated to making Bettendorf and the Quad Cities a wonderful place to live. Windmiller Design Build model homes continue to win Best in Show at the Annual Parade of Homes, a testament to our ability to deliver unparalleled design and quality year over year. Meet Craig, Windmiller Group’s fearless leader. Over the past 30+ years, he has developed 17 unique residential neighborhoods; three commercial sites; 400+ custom homes; a 77-sq.ft. treehouse; and a solid reputation for his company. But he’ll tell you that being featured in Custom Home Builder Magazine, The Quad City Times, Rock Island Leader and other publications isn’t what he values most. Nor is securing numerous first place Parade of Homes finishes or receiving a lifetime achievement award from the Quad Cities Home Builders Association. No, this Navy veteran and Iowa State grad cites raising money for Habitat for Humanity and leaving a build site in better condition than how he found it as his major accomplishments. When he’s not leading the Windmiller team, Craig enjoys fishing expeditions with his grandsons and criss-crossing America’s back roads with his wife in their sports coupe. Home building has been one of Ryan’s passions since the age of 12. His other passion? Spending time with his family, especially when that time involves something water-related. What began as sweeping the floors of his father’s job sites developed into a full-fledged custom home enterprise. 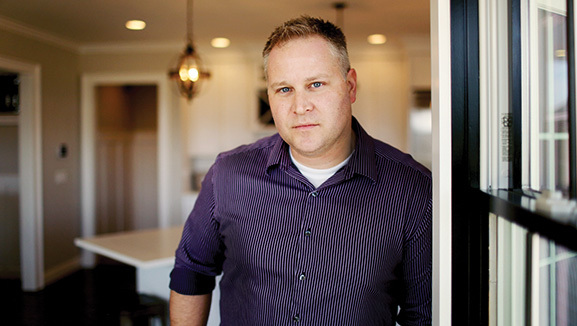 After college, Ryan put his Marketing and Management Entrepreneurship degree from Iowa State University to use and launched Aspen Homes, which focused on building affordable custom homes for families. 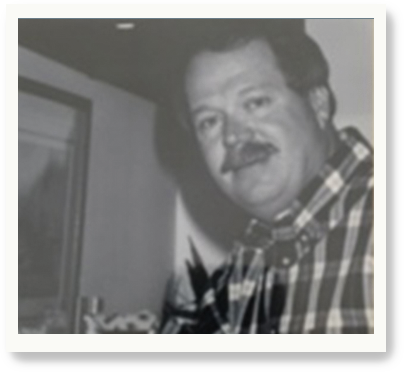 Ten years later, he assumed the operations of Windmiller Design Build so his father could concentrate on design and development. Ryan’s favorite part about Windmiller Group? Working side-by-side with an outstanding team of professionals. Meet Bryan. This easy-going design consultant, draftsman and golf fanatic has been designing houses in the Quad Cities for over 20 years. As a kid, Bryan realized architecture was a way to feed his love for art, and spent countless hours drawing sketches of floor plans and elevations, which he still enjoys doing today for clients. His study of architecture is always ongoing, focusing a lot of free time researching its history, rules and formulas that make great structures which stand the test of time. He’ll tell you the hardest part of design is combining the authentic feel of a specific style with the functionality of a modern home and how people live today. You may think his favorite part of the process is putting pen to paper but Bryan most enjoys listening to his clients describe what they are looking for in their dream home and interacting with them as their dream becomes a reality. Meet Stephanie. 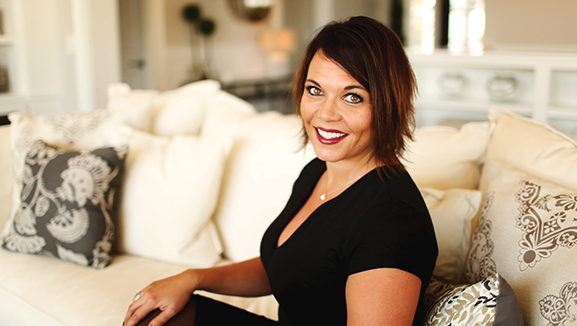 After a stint in Chicago where she honed her expertise in residential and commercial design, a move to the Quad Cities in 2007 brought Stephanie and Windmiller Group together. This Illinois State University graduate and former Scott Community College Interior design instructor has more than just experience and a degree in interior and environmental design; she has insight; a love for anything black, white, comfortable and gorgeous; and an obsession with fabrics and lighting. Beyond crafting dream homes for clients, Stephanie’s other joys include: the color red; her cockapoo, Martini; Pinterest; Houzz; design blogs (House of Turquoise, Our Fifth House); and books like Black and White or A Bit in Between by Celerie Kemble. When she’s not working, you can find Stephanie hitting the links, enjoying the pool or hunting for decorating treasures.